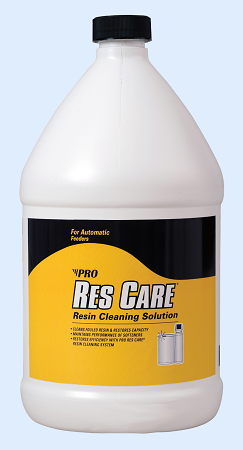 Pro Res Care Water Softener Resin Cleaner is a specially formulated liquid resin cleaner designed to clean resin pores of iron, manganese, silt, metal particles and organic compounds that cause softener inefficiencies. Regular use of ProProducts RK41N Resin Cleaner will restore the softener beads and control valve parts back to peak efficiency and maintain the life of the unit. Pro ResCare RK41N is NSF Certified to meet NSF/ANSI Standard 60 for drinking water additives. 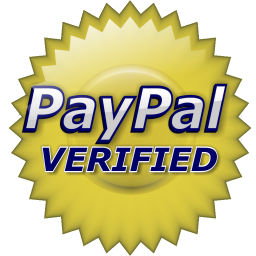 This product is applied to the salt brine tank by a feeder which introduces a small amount into the brine tank. 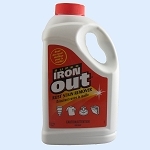 The softener resin is cleaned during a regeneration cycle on a regular bases.